Staff conduct a seining survey to monitor fish populations in the park’s creeks. 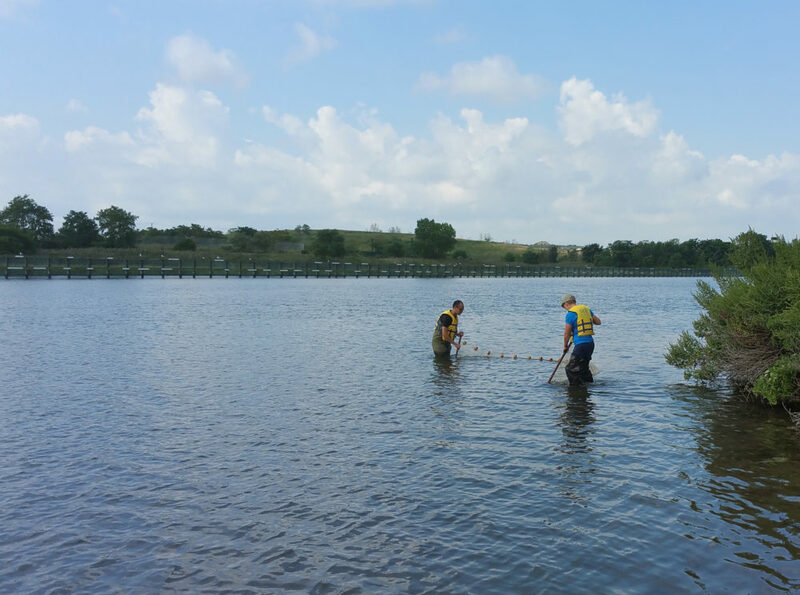 In 2016, NYC Parks researchers began ongoing work to survey the fish species living in Freshkills Park’s waterways through a seining program. The data provide insight into the health of the fish populations, as well as the food availability for wading birds like the great egrets and great blue herons seen foraging in the park. Fish populations in the Hudson-Raritan Estuary faced steady decline starting with the industrial revolution. Over-fishing, pollution, and damming have left our waterways with only a fraction of the abundance that they once had. Since the advent of the Clean Water Act in the 1970s, some fish populations have begun modest resurgences within the estuary. Because the waterways within Freshkills Park are tidal, shallow, and protected, they serve as prime nursery grounds for many of the species observed in the region. Researchers began preliminary surveying at the 2015 BioBlitz, a 24-hour biological survey in one 233-acre section of the park. During the event, 10 fish species were recorded within the Fresh Kill waterway. 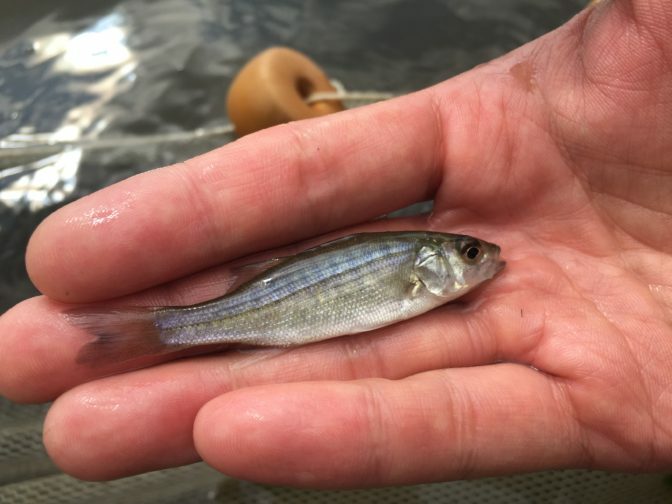 Some of these, like the Atlantic Menhaden and Alewife, are historically important species that have seen huge declines in the past century. Others, like the Black Drum and Naked Goby, are species whose range is south of the region and were likely summertime visitors during some of the warmest water temperatures that the Hudson-Raritan Estuary had ever seen. 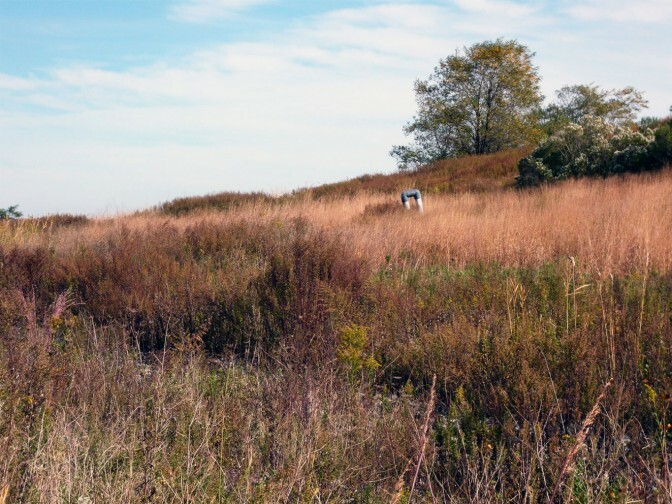 Although monitoring of fish populations has expanded in the estuary, the creeks within Freshkills Park are an important missing piece that would greatly contribute to our understanding of the region’s fish health and diversity. This project seeks to add Freshkills Park into our fish population knowledge, and provide information for parks staff on how to best conserve our waterway resources.